When it comes to weekend indulgence, I like to take some 'me time' to relax, think about self care and have a little pamper. 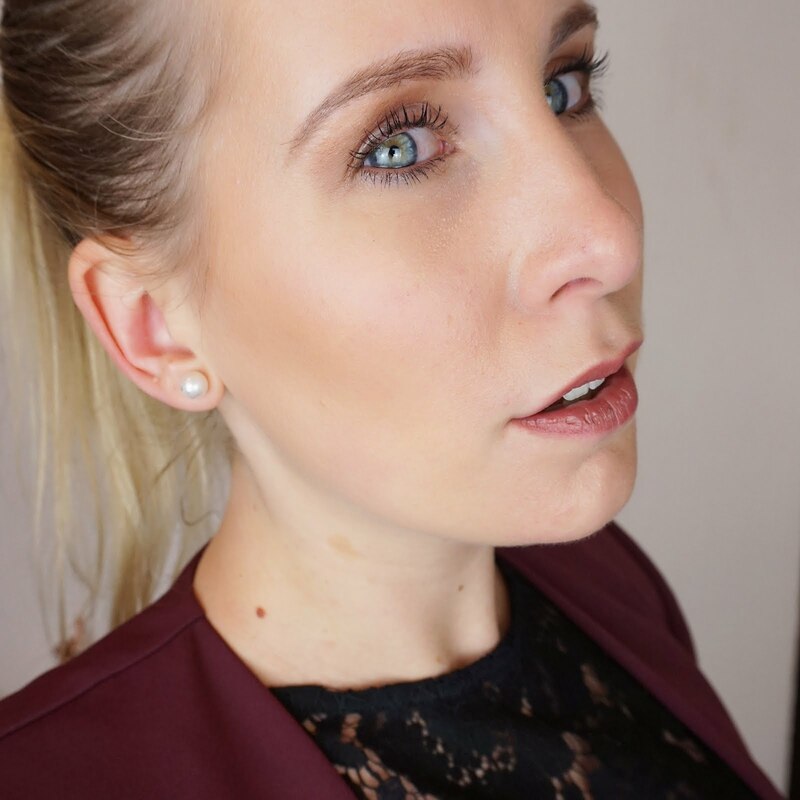 As my weekdays usually consist of a face full of makeup (although I have to admit these have been pretty rare since having a baby! ), I like to go makeup free and do a bit of skincare Sunday. What better way to do this than with a face mask? 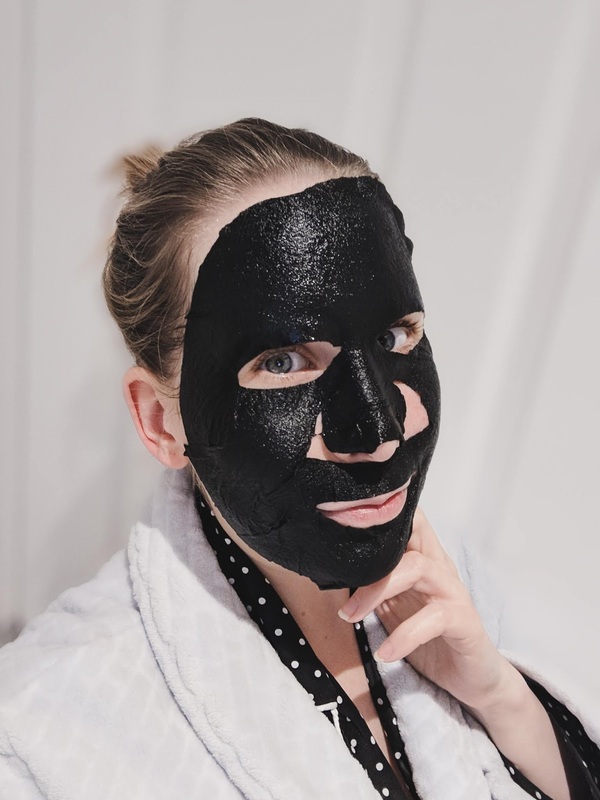 I love trying out new masks and this time I have a review for you of the Procoal Marine Moisture Mask (£13.99 per pack of three), a hydrating charcoal sheet mask. Is it any good, and does the charcoal add anything? Read on and find out! 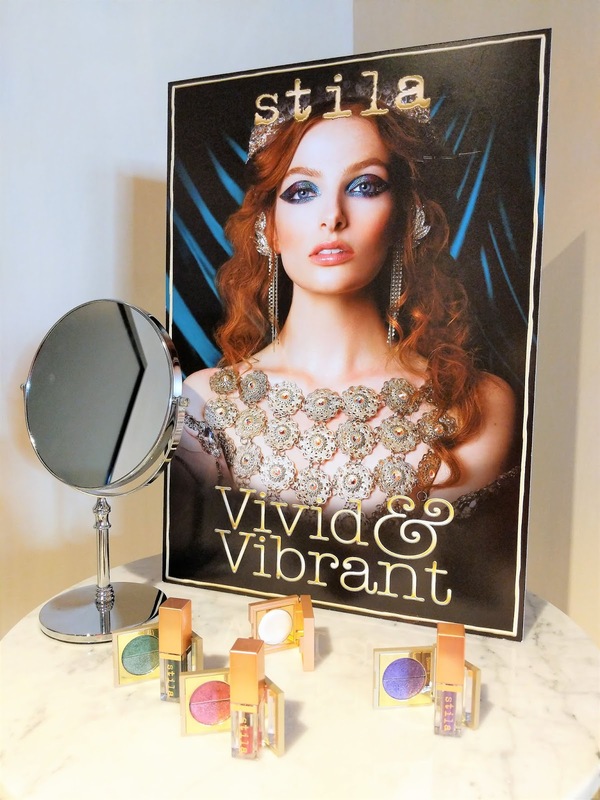 "To deliver high-quality beauty products using traceable and ethically sourced ingredients at revolutionary prices and use business to inspire and foster positive social change." Integrity – being honest, open, and fair. Passion – standing up for what we believe in and take pride in our work. Courage – displaying courage without ego. Fun – having fun, seriously. At the time when the brand was founded, they started with their Activated Charcoal Teeth Whitening Powder which is how I've heard of them, but they have since then developed other products with some simple key principles in mind: to keep products simple with a 'less is more' approach, to use high quality, traceable and ethically sourced ingredients and to always prioritise quality over profit. 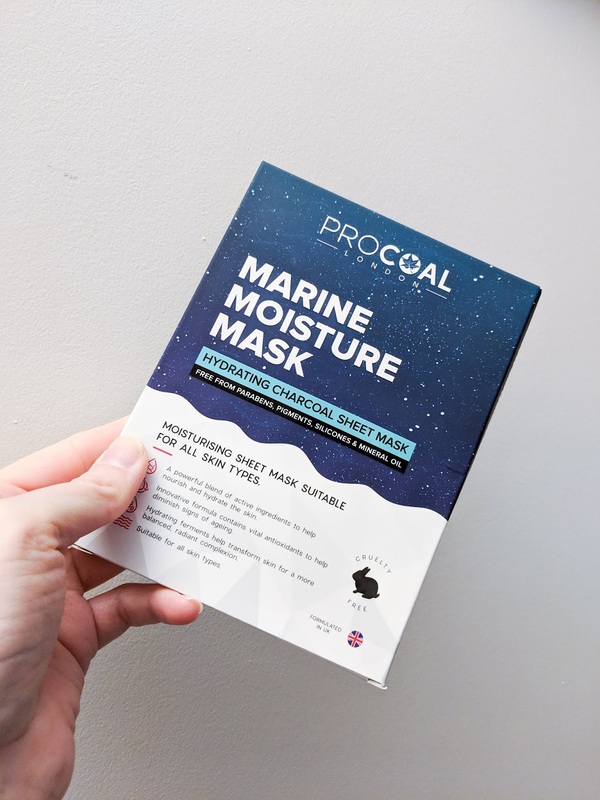 In December 2018 Procoal released the Marine Moisture Mask. The formula for this sheet mask is said to use premium botanical extracts and marine ferments, and promises to deliver an instant moisture for more radiant, glowing skin. The mask contains a blend of active ingredients to nourish and hydrate the skin, antioxidants to reduce signs of ageing, hydrating ferments to help transform the skin for a more balanced, radiant complexion and is suitable to all skin types. The mask is furthermore cruelty free and free from parabens, pigments, silicones, sls, paraffin & mineral oil. On paper this mask sounds really good and perfect for the winter months when my skin tends to get dehydrated, but also useful during the summer months when you just want something that is full of cooling serum. The only thing I must note straight away though, is that a lot of nice words are used such as 'a blend of active ingredients' and 'vital antioxidants'. Although this sounds great, in light of Procoal's core value of being open and honest, I would have preferred to see some examples of these ingredients listed on the front of the packet. We can of course look through the list of ingredients on the back of the packaging, however these are often listed with their official names, which can make it difficult to understand what ingredients we are actually dealing with. I have noticed that there is some further information on the website, however this is still quite limited. The mask itself is a thin, black sheet mask that comes with a layer of white plastic to allow you to apply it. It is infused with serum and my first impression is that a good amount of serum has been used. The instructions on the back state to peel off one outer layer to reveal the mask, place the mask on the skin and peel off the remaining outer layer. Now this is interesting because my mask only had one outer layer. I found the white plastic outer layer quite hard and difficult to work with, so I peeled it off before applying the mask. The mask itself feels really soft and fits my face well which is a rarity when it comes to sheet masks. As the sides of the masks are cut, it can easily be adjusted to fit different face shapes. The scent of the mask is refreshing and not too overpowering. After leaving the mask on for about 10-15 minutes, my skin feels hydrated and plump. I massaged in the rest of the leftover serum and although it initially leaves my skin feeling a little sticky, this soon disappears as the serum is absorbed by my skin. Looking at what Procoal promises the mask to do, I can't complain as the mask is definitely hydrating and is making my skin look radiant and glowing. As for the charcoal element of the mask, not sure what role it plays as it is not specifically listed anywhere else and might just be mentioned on the front to add to the charcoal trend. I would love to find out whether it adds anything to the mask, but for now we'll just stick with the hydrating serum. Overall definitely a mask I would recommend if you're in need of a little pampering and hydration. Are you interested in finding out more about Procoal, and would you like to try out sone of their products with 20% off? Click here! 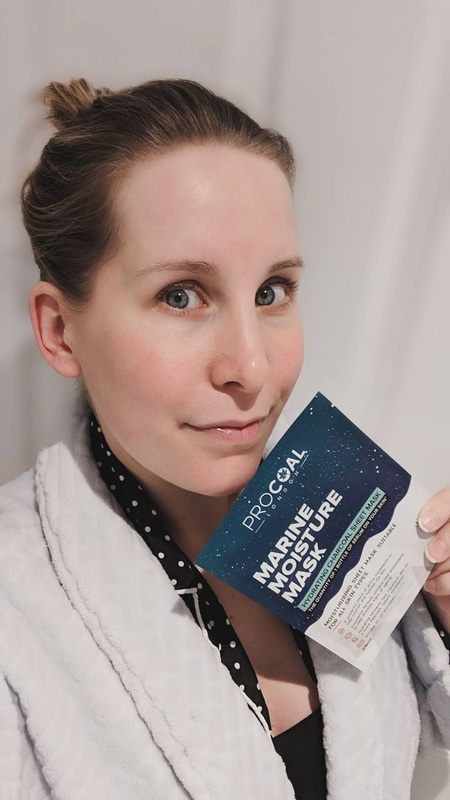 The Procoal Marine Moisture Mask was gifted for the purpose of review and is therefore listed as an advertisement, however all opinions are my own. Post contains affiliate link.